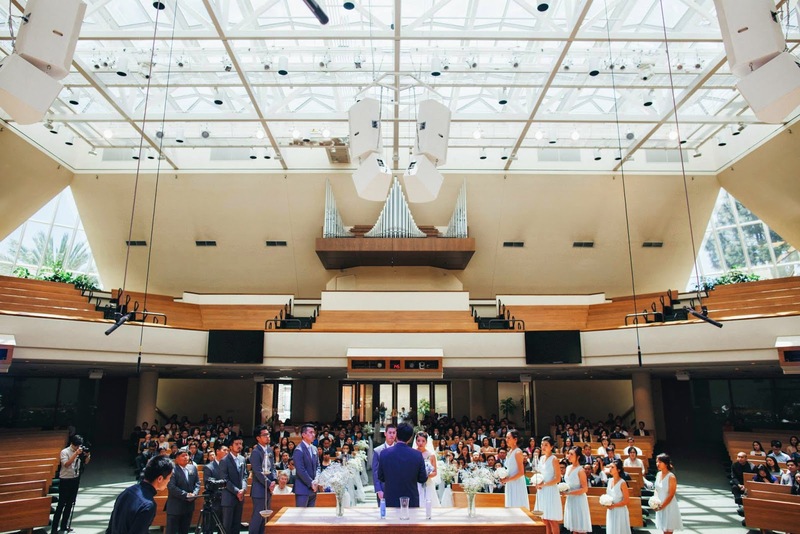 It’s been quite a while since I’ve blogged, mainly because summer brought a whirlwind of events for me: CampToons (Sunset Church’s summer day camp), Mexico missions, senior grad trip, staff retreats, teaching a Hermeneutics class, and getting married. Now that summer is done and Fall is officially here, I can finally sit down, blog out some thoughts, and reflect on all that’s happened in the last 3-4 months. May 3, 2014 is a day I’ll never forget… mostly because my wife would kill me if I did. 4 months ago today, I married one of my best friends from college. I successfully moved out of the friend zone and showed every guy that it is indeed possible to woo a girl who has put him there. May 3, 2014, was a day of much stress, anxiety, and joy; and it was a day that changed my life forever… sort of. Before I get judged, let me say that I love my wife. She’s been a tremendous help to me since we’ve been married. I’d much rather have her around in marriage than go back to the long-distance relationship we had before we got married. She’s my best friend, and I love spending time with her. Marriage is indeed a gift from God (cf., Proverbs 18:22), and it is a great thing; but it is not the best thing ever. Growing up, I had a view of marriage from two extremes: on the one hand, I envisioned marriage as the greatest thing known to mankind; on the other, I saw pictures of marriages that crumbled before my eyes and seemed to be a living hell. On the one hand, TV and movies gave me a glamorous view of marriage that would satisfy all my needs and wants. And yet on the other hand, I saw how destructive and depressing marriages could be. As I began dating and preparing for marriage, I was determined to not have one of those destructive marriages, but to come out on top with a fairy tale marriage. Now that I am married, I can honestly say that marriage is more realistically in between those two extremes. There are times when I can’t believe I got to marry the woman I’m with; times when marriage is wonderful and I can’t imagine it any other way. And then there are times when I think back on how easy single life was; times when marriage is the hardest thing ever and I start to imagine life as a single again. But most of the time, marriage feels quite “normal,” and my life feels quite similar to life before marriage. I love my wife, and as I’m writing right now, I can’t imagine life without her. Being married to her has definitely changed my life: I can’t hangout late with just the guys as often anymore because I have a wife to go home to and take care of. I can’t (or rather, don’t have to) eat chicken nuggets and cereal for dinner every night anymore, because I have a wife who cooks for me. I can’t play video games during my free time anymore, because there’s another person sitting next to me. But I also get a companion and friend who’s always around to spend time with and talk to. I get the pleasure of serving alongside a woman who shares the same core convictions that I do. I get the joy of sharing the load of life and ministry with another person not like me, but who complements me. And yet, while my life has been forever changed, it also hasn’t in some ways: I’m still working as a pastor over youth. I still have a desire to take my family overseas with the Gospel to the unreached. I still spend time praying, reading the Bible, and fellowshipping in community. I still struggle with sin. And I still need the daily reminder of the Gospel, that His grace is sufficient for me. Though I have become one with another person, and my life has changed drastically, who I am in Christ, and my passions and pursuits for the Gospel have essentially remained the same. Except now I have another person to consider with those passions, and to share with in those pursuits. In 1 Corinthians 7, Paul writes to the Corinthians on marriage and singleness, telling them that it is better to remain single if possible, but then discussing with those who are married on how they are to conduct their marriage in light of the present circumstances. Often times, in the West especially, we are prone to idolizing romance and marriage, and making life all about the pursuit of happiness in relationships. This can either be reflected in the fantasy marriages we envision (and we have Disney and Romance novels to thank for that), or even in the destructive and depressing marriages we may have seen or experienced. In either case – whether fantasy or devastation – we make marriage the ultimate goal and idol in life. And yet here, in 1 Corinthians 7, Paul seems to tell the one with the wife to “live as though they had none,” because “the appointed time has grown very short,” and “the present form of this world is passing away.” Marriage is a great gift from God (c.f., Prov. 18:22). Marriage is important to God (c.f., Gen. 2:18,21-25). Marriage is a vital witness of Christ’s marriage to the Church (c.f., Eph. 5:31-32). And yet, marriage is not everything. There have been many ups and downs already in my first 4 months of marriage. There have been times of extreme happiness and joy; and there have been times of extreme pain, grief, and even anger. But through it all, Jesus remains constant – His death and resurrection for my life and salvation. My mission doesn’t change – the pursuit of making disciples amongst the nations. And my desires are still ultimately for God and His glory. Marriage is indeed important, but for the sinner gone saint, redeemed by the blood of Christ, it’s not all there is to life. Marriage is meant to be a complement, a witness, and a tool to fulfilling the Great Commission of making disciples of all nations. To the married, we have to cultivate our marriages; we have to take care of our spouses; we have to give effort to having healthy marriages. But we also have to be careful to not idolize marriage and romance. Making disciples is our mission, not perfecting our marriages. To the single, know that marriage is a good thing; but it is not the greatest thing known to man. What marriage points to is the greatest thing known to man – the marriage of Christ and His Church. The extremes of marriage are the exception, not the norm, and much of marriage is just as “normal” and “mundane” as single-hood. Christ and His mission is what gives us purpose, not marriage. Therefore, worship of Christ and making disciples to His name is what is ultimate, not marriage. Great truth in here Clark! Marriage definitely needs to point to Christ and sadly, this is something that is often forgotten or not even thought of. Thanks brother! Yeah I don't even think I started thinking about this until I was in seminary hah. Hope your time in school and oversees has been going well!